Owning and operating a business is a lot of work. Many business owners will tell you that one of the most intensive parts of running a business is actually getting the money you earn. Thankfully, there are lots of options for modern merchants, businesses, and retailers. Collectively, these options are known as merchant services. Merchant services are all of the little things that enable you to run a business. They help you collect payment for your goods and services. They also help you get the payments you collect into your bank account. That’s not all that merchant services do. Many businesses need lines of credit to operate. Some merchant services offer innovative ways for businesses to get that credit and repay it. The best services offer a way to do that in an easy and streamlined fashion. Traditional merchant services focused on the things a brick-and-mortar store needs to operate. However, the rise in online commerce has created new needs for both brick-and-mortar and online-only businesses. We’ll cover some of the basic merchant services a business owner might be interested in. Keep in mind that there are many different suppliers for merchant services. Some companies offer package deals that cover multiple services. Others only specialize in one or two. Moreover, every business does not need every merchant service. For example, an online store doesn’t need a point of sale system. Companies that don’t have any employees don’t need payroll services. We’ll cover how to select the best merchant services for your business later on. But first, it’s important to get a sense of the different types of merchant services and what they offer you. A payment gateway authorizes payment between the merchant and the customer. They’re used to process credit card payments. Some popular payment gateway companies include Stripe, Square, and PayPal. Encryption – privacy and protecting information is vital in the modern era. A store that fails to secure its customer’s personal information is a store that will soon be out of business. The gateway encrypts the data that’s going to be sent to the web server. It then sends that information to the payment processor used by the merchant’s bank. The payment processor then makes an authorization request and delivers the result back to the payment gateway. Order Fulfillment – the gateway takes the response it gets and uses it to process the payment. If the request is denied, then the gateway provides this information. This protects the merchant from fraud and prevents customers from overdrawing their accounts. Address Verification – payment gateways help verify that the billing address entered in the payment info is accurate, again, helping to prevent fraud and identity theft. Tax Calculation – some gateways calculate how much tax the transaction will incur. They include that information on reports and can even route the correct amount of money into a separate account to help keep your tax payments simple. Payment Processing is related to payment gateway services. Think about it this way: the payment gateway gives permission to execute a payment, and payment processing conveys the information needed to execute the payment. There are a wide range of payment processing services. Many payment processing and payment gateway services are offered together as a package deal. Moreover, with advances in modern technology, payment processing and other merchant services can be run through a wide range of devices. That means you can have a dedicated point of sale system, or you can use a smartphone, tablet, or virtual terminal to execute transactions. Credit card processing is a specific type of payment processing and payment gateway combination. It’s used to conduct electronic transactions so that your customers can pay you for your goods and services. Credit card processing is used to keep up the speed of transactions. Studies have shown that faster transaction times make customers happy. It also helps keep lines moving, which means more business for you. Credit card processors come in a variety of forms. 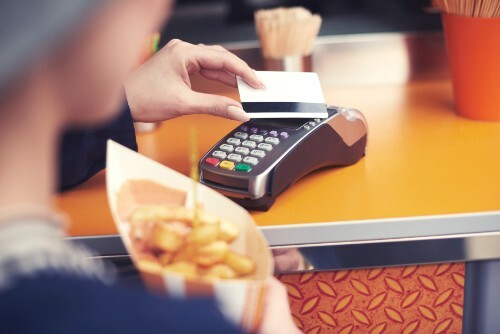 Most modern credit card processing is designed to take advantage of cards with built-in chips. These types of transactions are more secure for customers. They do a better job of protecting the customer’s privacy and vital financial information. Payment for credit card processing can take several forms. Most services charge a flat rate per use, plus a percentage of the sale. The flat rate and percentage are usually determined by sales volumes. That means stores that do lots of lower-value transactions will get a better rate than stores that conduct fewer high-value transactions. One of the most important things to check for with credit card processing is redundant servers. After all, it’s easy for a company to lose lots of business if there’s a network outage and that can’t take payments. Even worse, customers are likely to view a store that can’t accept credit card payments as untrustworthy, damaging your reputation and your brand. Be sure to inquire after outage histories when you’re shopping for credit card processing, payment processing, and payment gateway services. These merchant services are vital to running your business. If they go down, then you are going to have a hard time conducting transactions. Also, for online stores, an outage in the payment gateway, processing, or credit card processing services they offer can prevent them from doing business entirely. A point of sale, or point of sale system, is a type of merchant service that acts as the place where the sale happens. For example, at your local grocery store, the point of sale is the register you check out at. Different businesses need different point of sale features and abilities. A small, specialized boutique might have a mobile point of sale platform, maximizing the floor space dedicated to products. A medium-sized retail organization might want permanent systems at fixed locations to help customers navigate the store. Large chains need things like bar-code scanners and other features to help them track inventory and sales across multiple locations. Point of sale systems are a combination of hardware and software. That means it’s the device you use to make the sale, as well as the programs that device uses. However, there are some things to be aware of when it comes to point of sale systems. First, you should understand the terms and conditions on your point of sale system. Many companies only lease you the hardware and software. That means if you need an upgrade you’re still obligated to pay the lease on your old system. Another thing you should check is that your point of sale system is compatible with your payment processing and payment gateway services. You want to make sure that your system can use the correct protocols and software to communicate the necessary information to and from your bank and your customer’s bank. Cloud services and advanced technologies have created other features for many modern point of sale systems. One example is employee management. Good point of sale systems will have a feature that lets employees clock in and clock out directly from their workstations. This helps companies manage scheduling and payroll functions. 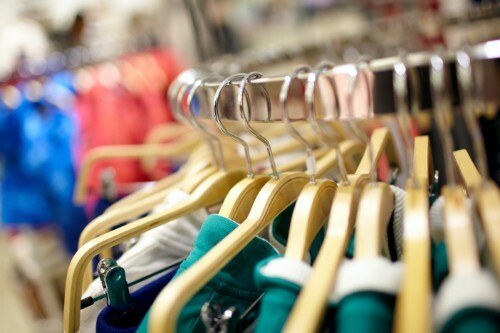 Other point of sale systems will help you track inventory. They let you know when you’re running low on certain items. You can also use point of sale reports to get other sales reporting information. You can use that information to make informed business decisions. For example, if your point of sale system says that you only make one sale per week between the hours of 9am and 10am, then you might consider opening your store later to save on labor and overhead. Point of sale services also help with customer management. 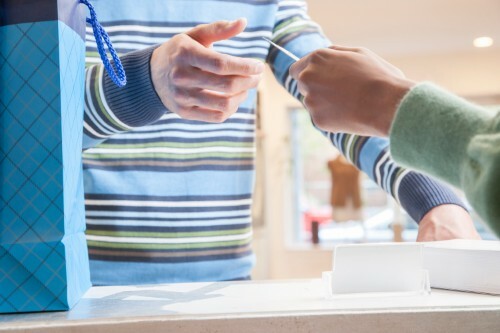 By now, nearly everyone has some kind of rewards or client account with at least one store. These systems track how much a customer spends and offers them deals and benefits for using your store. Merchant processing is an umbrella term that covers several different merchant services. Merchant processing services usually combine payment gateways, payment processing, and point of sale systems into one easy-to-use package. An example of this is the company Square. This company provides software and hardware that lets merchants accept payments, process the payments, track customer accounts, record loyalty points, and manage employee schedules and hours. Offering all of these services together does several things for the merchant. First, it simplifies their overhead fees. Instead of paying multiple companies for different parts of their merchant services, they can pay one company for all of the services they use. These complete package options are usually best for companies that operate a brick-and-mortar store. You also get more value from merchant processing services if you have employees and need to track payroll and schedules. Online-only retailers don’t need things like a point of sale system and other merchant services designed for brick and mortar stores. That’s why it’s important to shop around and read some merchant service reviews before you pick a company to handle your transactions. Merchant accounts are specialized versions of bank accounts. The operate by extending the merchant a type of line of credit. The merchant account gives the business the money they’ve made from credit card transactions without having to wait for the actual payment from the credit card company. The benefit of merchant accounts is that they get you your money as fast as possible. This is a boon to companies that run high-volume low-margin operations. These companies need the money from their transactions as fast as possible to buy more products, cover payroll and operating overhead, and generally conduct their business. Without merchant accounts, these companies might be delayed in ordering replacement products, resulting in missed sales and bare shelfs that hurt your reputation. They also might have a hard time covering payroll, which decrease employee motivation and makes turnover more likely. Merchant accounts require you to pay some fees to take advantage of fast money from credit card transactions. The best merchant accounts offer interchange-plus pricing. This system tells you exactly how much you’re paying the merchant services organization on top of the cost of the transaction. Interchange-plus also lets you compare the actual cost of merchant account services between companies. A tiered system of payments reduces the transparency of the actual cost and makes it harder to ensure you’re getting the best deal. Now that you know about some of the different kinds of merchant services that people offer, it’s time to understand the value of merchant services. Broadly speaking, the value, be they electronic merchant services, or online merchant services, is that they allow your business to run better. However, the specific ways they do that are important. The first way that merchant services help your business run better is by saving you time. They do this several ways. Merchant services cut down on the amount of time it takes to conduct a transaction. Some readers may remember the days when a cashier had to make a physical impression of your credit card, fill out paperwork in triplicate, and then finish the transaction. Modern merchant services make that process take seconds, rather than minutes. Another way that merchant services save time is by tracking all of the data you need to run your business. Gone are the days where you can’t tell how your business is doing until you balance your books at the end of the month. With modern merchant services, you can get real-time snapshots of your business to help you make informed decisions about how to grow. Finally, merchant services cut down on the amount of time it takes you to get paid. This is especially true with things like merchant accounts. That means you can get your money faster to cover expenses like payroll, restock your store, invest in marketing, or start plans for an expansion. Saving labor is another way that merchant services help your business run better. These services decrease the amount of labor you need for bookkeeping and business analysis. Many merchant services directly sync with popular accounting software like Quickbooks. That means your accounts payable and accounts receivable departments can be consolidated. Merchant services also save labor in accounting by eliminating the need for a dedicated employee to process credit card and debit card payments. The merchant service handles all of that work, freeing up employees to help expand and grow your business. One perk of merchant services that many people might overlook is the effect they have on customers. Imagine if you were making a purchase in a store and heard the noise of a dial-up internet connection. You can see how this would make you suspect the stores trustworthiness and reputation. Additionally, merchant services cut down on the time it takes to make a transaction. That keeps customers from waiting in line. In addition to letting you make more transactions faster, that means that your customers are more likely to leave your store satisfied with the experience. The longer someone has to wait to make their transaction, the less likely it is they’ll be back for repeat business. All of these factors contribute to merchant service’s ability to offer better business analysis. With modern analytics, you can see what times of the day you make the most sales, when you make the highest-value sales, what sales staff are most effective, and what products sell best at what prices. Moreover, you can do all of this with the click of a few buttons. This gives business owners and operators tremendous power to maximize the value of their business. You can make important staffing decisions, find the source of and solution to problems, and understand where you’re performing well almost instantly. This means you can make important decisions to grow your business faster and more often. You’ll also have more evidence to base those decisions on. All of this results in helping to create a more efficient business model. Any business owner or operator can tell you how important it is to get the most value for every penny spent. Merchant services let you do that in a way that’s fast, easy, and cost-efficient. First, you should compare the total package of one company to another, rather than individual parts. After all, if a company gives you great rates on processing fees but charges an arm and a leg for equipment rental or leasing, then you’re not actually coming out ahead. In the same way, a company that only offers payment processing services but doesn’t offer point of sale systems might be cheaper, but it could create headaches. You need to ensure that your systems can talk to each other. You also have to deal with two different customer service departments if there’s a problem. Each department can blame the other, leaving your business hung out to dry. The next key element when comparing merchant services is the level of transparency you get. We’ve already pointed out how interchange-plus pricing is the way to go. This pricing model tells you exactly what each transaction will cost to process. That creates important predictability for your finances, allowing for planning and business development. Tiered pricing models mean that you won’t know what your fees are until the billing cycle ends and you see how many transactions you’ve done. That can lead to sticker shock. It also means that your merchant service fees aren’t stable, which can play havoc with your operating budget and ability to plan and expand. Another thing to look out for is hidden fees. Whenever you’re talking to a company about their merchant services, make sure you get a complete list of the fees. Find out what they are, how each is determined, and get a bottom-line cost for the services. Lots of companies out there will tell you that their services cost one amount, but you find out later that the amount doesn’t include various fees and charges. This model also shows that a merchant services company is more interested in exploiting their clients than they are in facilitating your transactions. That’s not the kind of company you want to do business with. If there’s a problem, they’re more likely to tell you that it’s your problem and not theirs. Finally, you should make sure you understand the terms of the agreement. For example, many point of sale system merchant services want you to lease hardware and software. That means if you ever upgrade your system, you can still be stuck paying for a lease on old equipment. You should also prefer services that don’t have an early termination fee. Flexibility is the key to business success in the modern economy. Early termination fees lock you into a service. This can prevent you from switching to take advantage of a new opportunity or innovation in the way people do business. Finally, understanding the terms of the agreement is essential to protecting yourself from liability. For example, some companies forbid installing any software on a point of sale system other than what they authorize. If you put a popular music streaming service on the system to give your staff the ability to control music in the store, then you might be violating your lease agreement. That can make you liable for damages, penalties, and fees. It also might be a way for the merchant service provider to avoid holding up their end of the agreement. Merchant services are a vital part of any modern business. Use this information to ensure that you’ve picked the best merchant services for your business. After all, digital transactions now make up the majority of sales. Therefore, having a reliable means of processing these transactions is key to running, and growing, a successful business.